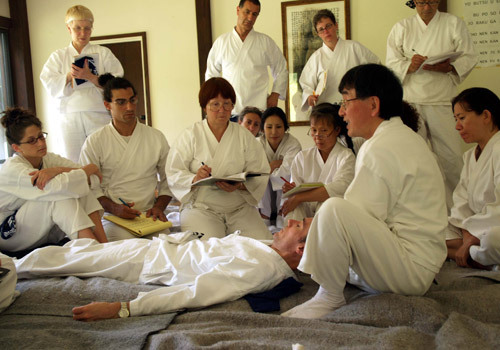 At the Ohashi Institute, you can choose how much you want to study. You can take one or two courses or continue through the entire curriculum and on to postgraduate training. It’s up to you. And, we offer a variety of formats to fit anyone’s busy schedule. You can savor a 10-week course, or immerse yourself in a 2-weekend or 5-day intensive. Even travel to one of our special retreats at a Zen Buddhist Monastery, or on a beach in Bali or Brazil. And you can emphasize your training with special one- or two-day workshops. Courses are taught the same way around the world whether you’re in North America, South America, Europe, or Indonesia.